We’re the next best thing to a Fairy Godmother! 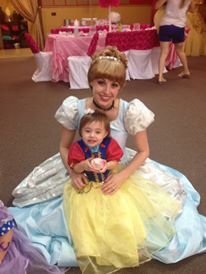 We offer full service parties at our location complete with your choice of Princess to spend the entire party with the birthday girl. 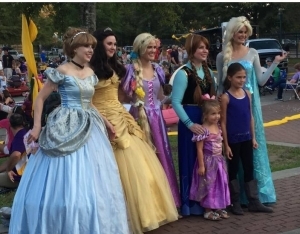 The Princess Party is 1.5 hours of royal fun for up to 14 girls. 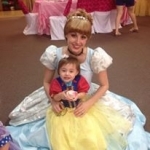 All parties include poofy princess dresses to wear during the party, a tiara craft, a Princess Hostess to lead princess lessons and princess themed games and activities, and a second hostess to make sure everything runs smoothly. It also includes 2 dozen cupcakes, sprite, plates, cups, and napkins. All you need to bring is the Birthday Princess! Princes are also welcome to attend. We have several knight costumes and sword crafts for his majesty. 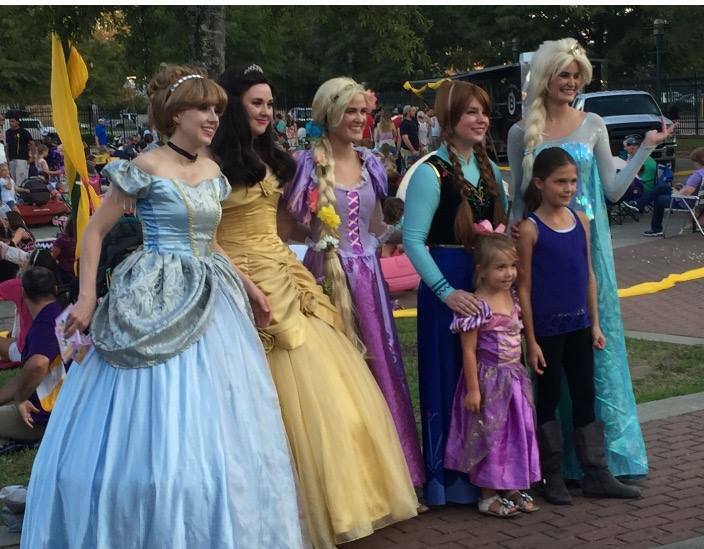 Chose Elsa, Anna, Cinderella, Belle, Rapunzel or Ariel! Glitter Tattoos that sparkle for days! Have a princess party hosted by both Elsa and Anna! 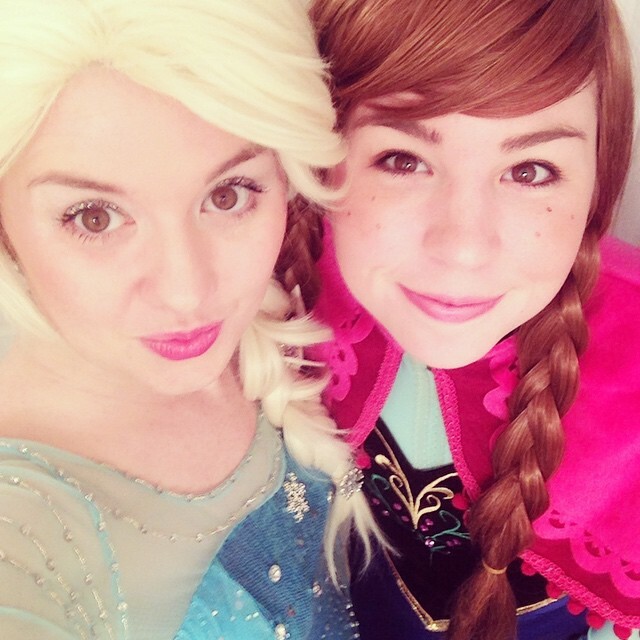 Both the Beautiful Snowflake Princess and her Spunky Sister to lead activities and games for the whole party!